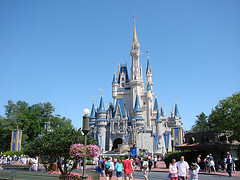 Disney World is located in sunny Florida, that is reason enough to go, but I'll go into more detail. If you live outside of Florida, or even if you live in it, Disney World is one of those attractions that you have to see to believe. It opened in 1971 and there have been many additions such as Epcot, Disney's Hollywood Studios and their newest, Disney's Animal Kingdom. It doesn't matter how old you are, everybody is young at heart when they visit Disney World. In order to get tickets and general information you should book your vacation online. There you will find all of the ticket information and hotel accommodations and general information that will help you enjoy your time at Disney World. Even the most detailed person will be impressed with how Disney World operates. If you can think of an improvement chances are they have already implemented it so you can rave about your visit. I first visited on my honeymoon. We were married in December towards Christmas time and spent Christmas walking around Disney World. Even though it's generally sunny all year in Florida, they did make it snow in certain parts of the theme park so visitors would have a white Christmas. The internet allows you to book your hotel and ticket passes all on line and they even allow you to pick them up at the gate so you don't have to worry about losing them in your travels. When you stay on-site, you have the benefits of walking to the park each day, you can ride the designated buses that visit Disney World each day or you can drive. They make it very easy for you to enter and exit the park. You will never wait more than 10 minutes for a bus or trolley. If you decide to walk, you can enjoy all of the Disney magic before you even get to the park. If you want to take your kids, better yet, they will want to take you, it's best to opt for at least four days at the park. There is a lot to do and you will want to take in as much as possible. There is a lot of walking so make sure you wear comfortable shoes and drink plenty of water. We would freeze our water bottles the night before and had nice cold drinks all day! There is lots of shade so if you need to take a rest you can. There are discounts on children's tickets so it's important when you are booking your tickets to note the correct ages of your children. When you want to get away for a fun vacation with your significant other then Disney World will give you some great memories. 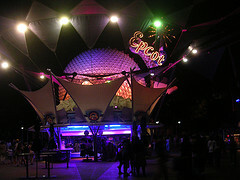 You can spend time on Disney's adult island where you can dance and dine fairly late into the night. There is so much to do as a couple at Disney World you may have to make it an anniversary vacation. 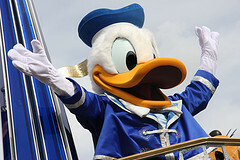 There is a lot to see and do so take your camera and capture all the Disney characters that walk the streets. There are roller coasters, rides that challenge the most extreme adrenaline junkie and fun shows for all ages to see. If you want a vacation that becomes a destination then visit Disney World, you will have fun, make new memories and talk about it until the next time you see the famous castle.